New and undescribed species from Mato Grosso and thanks God. 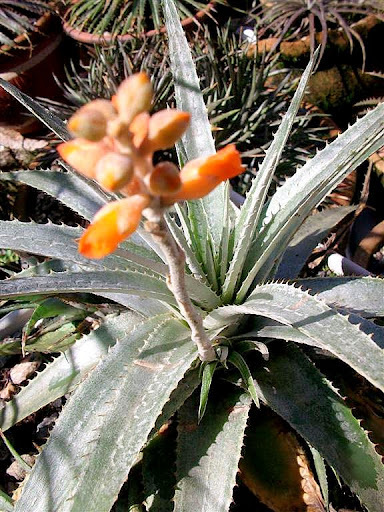 [align=center]This is a recently found species, Dyckia species from Mato Grosso. This beautiful over silver scale coated species lives on rocks in a very rough condition. Over scaled plants tend to live on very dry contitions and the scales help the plant to cope with this lack of water. They allow the plant to get water from the air and matinal dew. This stunning new lookcomes from close to Paraguay border.